Why You'll Love IT™ Developed with plastic surgeons, this dual-ended magic eraser features your best-selling, award-winning Bye Bye Under Eye™ Concealer and Hello Light™ Liquid Brightener for instant skin-perfecting results and more open, younger-looking eyes. While the highly pigmented, full-coverage concealer improves the appearance of wrinkles and camouflages the look of dark circles, redness, hyperpigmentation, broken capillaries, age spots and discoloration, the liquid brightener utilizes proprietary Drops of Light Technology™ to add a subtle touch of radiance and bring your best features forward. These game-changing formulas are loaded with anti-aging ingredients including hydrolyzed collagen, peptides and antioxidants for younger-looking skin—making this 2-in-1 product a must-have for every IT Girl’s makeup bag, and your secret weapon for creating your most beautiful you! 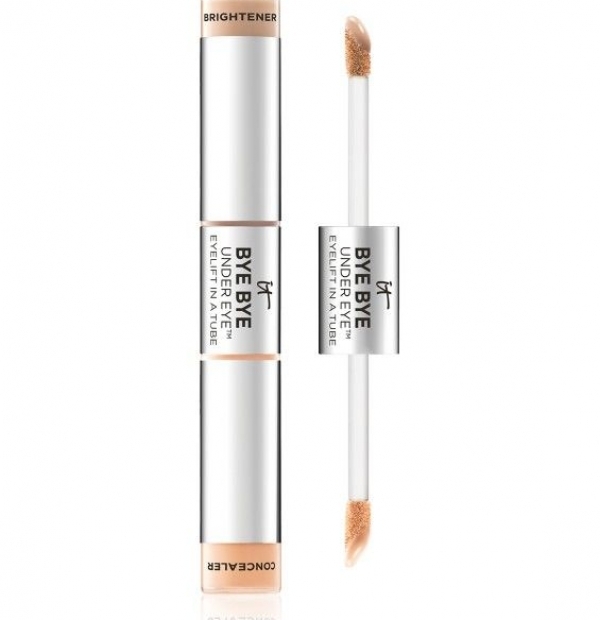 For a flawlessly radiant complexion, use Bye Bye Under Eye™ Concealer as a spot-concealer or all-over foundation, and the Hello Light™ Liquid Brightener on areas of your face you wish to enhance with the look of light and lift, including under your eyes, the center of your forehead, on top of your cheekbones and straight down the bridge of your nose.